Today marks the beginning of National Pest Management Month (NPMM), which recognizes our industry's effectiveness in protecting society's food, health, property and environment. This is a great time to reinforce the important role your company plays in protecting the community. To help in that effort, consider using the NPMM logo, use your social media channels to promote the observance, send out a press release noting the valuable work done by the industry, host a celebratory event, have a staff appreciation event ... the opportunities are endless to observe and celebrate the work you do! The "What Pest Are You?" Quiz — You've undoubtedly seen the results of all kinds of quizzes lately on social media channels; accordingly, it's about time for one oriented toward pests! Take the quiz to see what you are and then help us promote this by posting and tweeting about it! Let's have some fun! 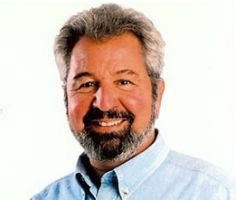 Satellite Media Tour with Bob Vila — During the first week of April, PPMA will bring pest proofing tips to the public with the help of noted home improvement expert Bob Vila. In addition to helping viewers understand how to keep pests away, he will address the vital work done by industry professionals every day. As reported previously, The TODAY Show ran a segment last Friday entitled "What's Bugging You". The piece addressed spring pests and many of the threats associated with them. Missy Henriksen, NPMA's Vice President of Public Affairs, educated segment hosts Tamron Hall and Willie Geist and viewers about termites, ants, ticks, and stinging insects. While in New York, Missy also taped a segment for The Weather Channel on spring pests. That segment is expected to air this weekend. NPMA thanks all PPMA Guardians and Contributors who have made opportunities like this possible for the industry. A team of entomologists, led by Dr. Christos G. Athanassiou of the University of Thessaly in Greece, recently published a paper titled, "Residual Efficacy of Chlorfenapyr for Control of Stored-Product Pscocids (Psocoptera)," in the Journal of Economic Entomology. Mortality of three species of pest psocids, Liposcelis bostrychophila, L. entomophila, and L. paeta, was measured after exposure to varying rates (ranging from 0 (control) to 110 mg of chlorfenapyr (Phantom) per square meter of concrete. Adults were confined on treated surfaces and their health was measured 1, 2 and 3 days later. To measure the residual efficacy of the treatments, the same treated surfaces were used for 3 weeks without being retreated. Adults of all species were susceptible to chlorfenapyr treated concrete, even in when exposed to aged treatments. In general, mortality was low 1 day after exposure but rapidly increased after day 2 and 3. The highest concentration tested caused 100 percent mortality after three days in all tests. The full text of the article can be found here. A bill the Maryland Senate was considering requiring lodging establishments to consult and contract with a licensed pest management professional to remediate bed bugs when there is evidence of an infestation was recently reported unfavorably by a key committee and is dead for the 2014 session of the Maryland General Assembly. Click here to read Senate Bill 792 and here to see NPMA's testimony in support of the measure. A bill the Connecticut General Assembly was considering directing the Connecticut Agricultural Experiment Station to submit a report to the relevant legislative committee on the suitability of using propane cannons and other propane-fueled noisemakers for the purpose of repelling birds, deer, coyotes and other wildlife recently died when the measure wasn't reported out of a key committee by the date that bills must be approved by committees. Click here to read Senate Bill 239 and related information. 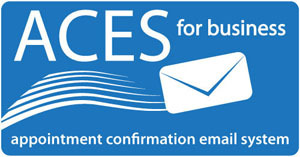 The Nevada Department of Agriculture recently announced that it will be holding a workshop on April 14 in Las Vegas on proposed rulemaking defining the term "spot treatment"; amending existing requirements governing the submission of wood-destroying pests inspection reports; revising fields of licensing, insurance limits, examination requirements for principals and operators; and provisions pertaining to pest control business locations. Click here to read the notice of the workshop. The Fiscal Year 2014-15 Budget the New York General Assembly approved Monday did not include changes to the state's longstanding pesticide use reporting statute that Governor Andrew Cuomo proposed earlier this year. In January, as part of the FY 2014-2015 budget he put forward, Governor Cuomo sought to repeal a 1996 state law requiring PMPs and other commercial pesticide applicators to submit comprehensive pesticide use reports to the New York Department of Environmental Conservation. The Governor's proposal also would have eliminated the requirement that DEC issue an annual report on pesticide use. DEC has not issued a pesticide use report with all of the compiled applicator reports since 1996. Activists groups had strongly objected to Governor Cuomo's proposal. Considering Integrating Drones Into Your Pest Management Operation? In recent weeks, NPMA has heard from members interested in utilizing drone technology as part of their pest management operations. Although a judge recently ruled that the Federal Aviation Administration (FAA) lacks the authority to limit the use of small unmanned aircraft, the status of the commercial use of drones is still a very murky area. The FAA has appealed the ruling to the full National Transportation Safety Board; The appeal stays the initial ruling. Meanwhile, the FAA is expected to issue proposed rulemaking on the use of small unmanned aircraft in the fall. The proposal is expected to seek to put in place use restrictions and operator licensing and registration requirements. Click here to read a recent Bloomberg article about the status of the legal use of drones. Click here to take a brief survey on drones in pest management. The U.S. Department of Transportation's Federal Motor Carrier Safety Administration recently proposed rulemaking requiring the use of electronic logging devices in commercial motor vehicles to improve compliance with the rules governing the number of hours a driver can work. This proposal will likely impact fumigation and heat treatment operations. Click here to read a press release announcing the rulemaking and here to see the rulemaking. Let's celebrate March Madness pest style! Join HomeTeam's Battle of the Bugs to identify the pest with the most impressive powers. Help us select the ultimate pest champion and earn a chance to win up to $400 in Amazon gift cards! HomeTeam's Battle of the Bugs pits 32 pests against each other in a head-to-head bracket contest until a final victor is crowned. Which pest will rule? Visit www.pestdefense.com/battleofthebugs to play. The lawn care and landscape industry, along with Professional Landcare Network (PLANET), are recognizing April as National Lawn Care Month. The start of the spring season is the perfect time to harness the public’s excitement about the outdoors and remind them about the benefits of a well cared for lawn. Visit PLANET’s consumer site, LoveYourLandscape.com, to help promote National Lawn Care Month. Spring ushered in two new technical sales representatives for Bell Laboratories. Former Canadian representative, Sara Knilans, returned to Bell in March after a seven-year hiatus to assume sales responsibilities as Midwest Technical Representative. She'll represent Bell rodent control products to distributors and PMPs in a 10-state area including Minnesota, Wisconsin, Illinois, Iowa, Missouri, Upper Michigan, Kansas, Nebraska, and North and South Dakota. Maria Miller also joined Bell's sales team in March as Southeast Technical Representative for Alabama, Georgia, and North and South Carolina. 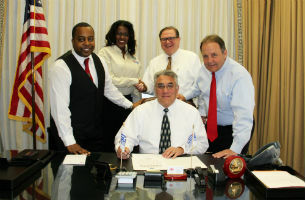 President of Orkin North America Gene Iarocci signs the Employer Support of the Guard and Reserve’s (ESGR) Statement of Support. The ESGR promotes cooperation and understanding between employers and their National Guard and Reserve employees. By signing the Statement of Support, Orkin pledges the company will act as an advocate for employee participation in the military by supporting the nation’s Guard and Reserve units, their mission, their return home and their return to the workforce. Pictured (l-r) are Orkin USA Field Recruiter Leland Smith, 1SG U.S. Army (RET); ESGR Program Support Technician Lisa Lynette Ward; Rollins Vice President of Human Resources Henry Anthony; and Rollins President and COO John Wilson. Clark Pest Control announced that it has acquired two pest management companies, Paso Robles, Calif.-based Bugz-B-Gone, Inc., and Escondido, Calif.-based Stock Exterminators. Clark Pest Control will merge the operations of both companies into its Santa Maria and San Diego service centers, respectively. Former NPMA employee Noreen Joan Slavin, of Falls Church, Va., entered into rest on March 24, 2014. "Nobody who has ever worked at NPMA, or maybe anywhere else, was kinder or more thoughtful than Noreen," stated NPMA CEO Bob Rosenberg. "Everyone in the NPMA family will miss her deeply." Noreen was the beloved wife of Donald Francis Slavin; devoted mother and best friend of Sharon Elizabeth Slavin Curtin (Paul G.); loving daughter of the late Iola J. Valle; dear sister of Robert B. Valle (Carolyn), Roger M. Valle, the late Helene L. Valle and late infant Benjamin Valley; also survived by nieces, nephews, great nieces, great nephews and relatives and friends. •The Pest Control Company, Inc.